The red variety comes from France, The name "Kleiner Grünling" refers to the high proportion of acidity in the grapes, which are often too poorly matured because of the long maturation period. Synonyms are Bouton, Carmelin, Herrant, Lambrusquet, Lambrusquet Noir, Digest, Verdot and Verdot Petit. It may, despite seemingly suggestive synonyms or morphological Similarities do not match the varieties Fer (Herrant) or Big Verdot be confused. The variety was first mentioned in 1736 together with the despite name similarity very different Gros Verdot. 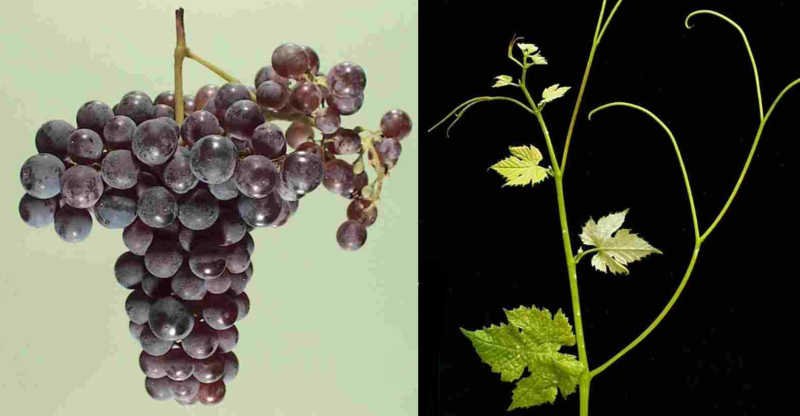 According to DNA analysis Both seem to be from Wild vines descend near the Pyrenees. Further acreage in Europe existed in 2010 in Italy, in Spain - where she was in the 1990s by the famous wine pioneer Marqués de Griñón was introduced (1,661 ha), in Portugal (139 ha) and in the Turkey (10 ha). Far more widespread in 2010 was overseas. In Australia It was already in 1832 by the wine pioneer James Busby (1802-1871) introduced. She will be there in the fields Barossa Valley. Clare Valley. Coonawarra. Langhorne Creek. Margaret River. McLaren Vale. Mudgee. Padthaway and Swan Valley cultivated and occupied here in 2010 a total of 1,223 hectares of vineyards. Other overseas countries are Argentina - where Petit Verdot was confusingly called Fer for a long time (501 ha), Chile (576 ha), Israel (50 ha), Canada (27 ha), Myanmar = Burma (2 ha), New Zealand (5 ha), Peru. South Africa especially in the fields Paarl and Stellenbosch (648 ha) and Uruguay (32 ha), as well as in the United States (853 ha) in the States California. new York. Virginia and Washington, The variety occupied in 2010 a total of 7,202 hectares of vineyards with extremely rising trend. Compared to the year 2000 with then 1,481 hectares, this resulted in almost five times the amount. It occupies the worldwide varieties ranking the rank 93. This page was last modified at 17 November 2018 at 08:42.